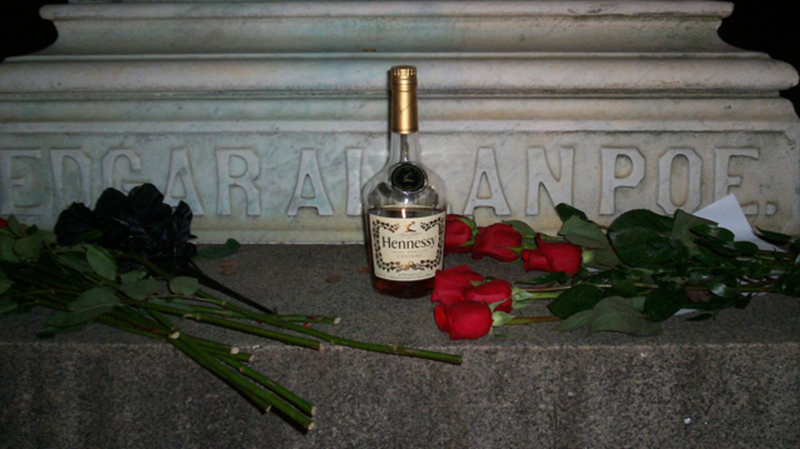 Since the 1940s, a mysterious visitor has been celebrating Edgar Allan Poe’s birthday by visiting his original grave in Baltimore each year and leaving a bottle of cognac and three roses. Little is known about the identity (or identities) of the “Poe Toaster,” and awaiting his or her appearance has become something of a cult tradition among local Poe enthusiasts. That is, until 2010, when the annual visits ceased. From the submissions they receive, 10 to 12 finalists will be chosen to compete in front of three “celebrity” judges at the Maryland Historical Society. The audience will then decide which competitor is worthy of the honor of toasting Poe’s grave on his upcoming birthday, January 19, as well as at other events during the year. The deadline for applications is October 23, and the Maryland Historical Society says they will accept videos, drawings, and storyboards as additional support for the written pitches. And while it sounds like a perfect fit for reality TV, the only way to watch the competition is by traveling to Baltimore.